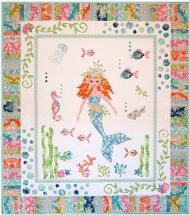 At Petals & Patches an exciting range of original patterns and kits for Cloth Dolls, Stitcheries, Appliquè, Bears, Patchwork, Bags & Quilts are available. 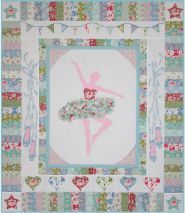 This range of patterns and kits are all original designs, catering to all levels of expertise. They come with comprehensive instructions written to encourage even absolute beginners and include a stitching & appliqu� guide. Our catalogue can be downloaded or is available for posting. E-mail us to request your copy. Our Facebook page will give you a more up to date description of what we are currently doing and our plans for the future. New designs are always being added, so don't forget to check back regularly. 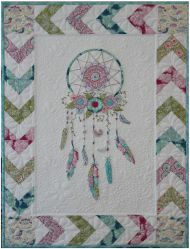 The latest creations are shown below, click on item for more detail. We retail our patterns via our secure shopping cart, or we can arrange wholesale supply to registered businesses to locations all around the globe. I hope you enjoy this website and the designs that are on offer. If you have any comments or would like further information you can contact us via e-mail. Payment can be made by cheque, postal order, Mastercard or Visa. So sit back, relax, make yourself a cuppa and enjoy browsing. Every attempt has been made to ensure the accuracy of the information provided on this website. Please advise us if you have any concerns relating to this site.